From the sweet deliciousness of Puffle Waffle mania, to the unique spices and flavors served up by the top-rated Black Star Grill, the new Bite of Oregon is delivering sweet and savory tastes for every palate. At its new home at the Rose Quarter, top chefs, wines, craft beer and spirits and fine foods featuring Oregon products from around the state are being served up Labor Day weekend, Sept. 1-4. 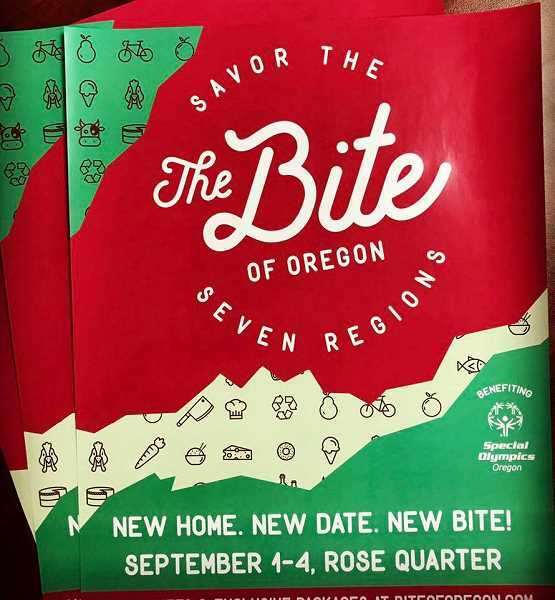 And The Bite, the state's largest food festival, couldn't be easier to attend: the festival is steps away from MAX trains, bus lines, the Portland Streetcar and CTRAN. Guests can also walk over, bike down (with bike parking) or load up the family and drive in with reduced rate garage parking of $5.